KHARTOUM, SUDAN—Ubiquitous American advertising is absent in Sudan. Washington bans most imports and exports. Among the strongest supporters of economic coercion have been American Christians, seeking to punish the Muslim-dominated central government for its brutal conduct in past ethnic conflicts. The Clinton administration first imposed restrictions two decades ago for Sudan’s alleged sponsorship of terrorism. But the Obama administration admits that Khartoum cooperates with the U.S. today. Penalties were later strengthened to punish Sudan for its tactics in the civil war in Sudan’s south and subsequent fighting around Darfur. But the first was resolved years ago with the independence of South Sudan, which itself has tragically descended into its own civil war. And the large-scale killings at Darfur also have ended. While some fighting continues elsewhere, it is no worse than many other Third World countries. Khartoum also is criticized for religious repression, but American allies such as Saudi Arabia are worse. 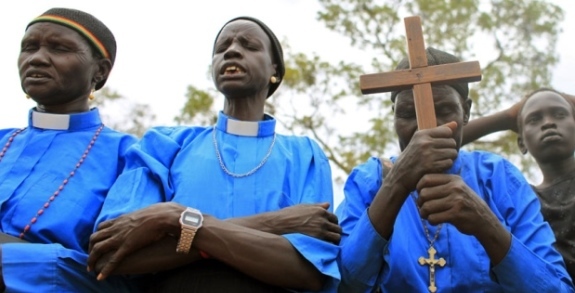 Moreover, Sudanese Christians say they are among those most hurt by sanctions. As for the church, “we depend on donations. If members don’t work, they don’t have anything to give.” He suffered from prostate cancer and the necessary treatment was not available in Sudan. He went to Australia, where one of his daughters and a sister live, for treatment. “We all oppose sanctions,” he said. There was and remains much about which to criticize Sudan’s government. However, U.S. sanctions have lost any purpose they once may have had. The world has changed since sanctions were first imposed. Washington’s policy toward Sudan should change as well.